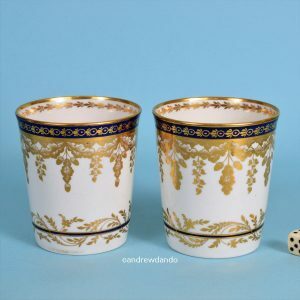 Pair of Worcester Porcelain Beakers. 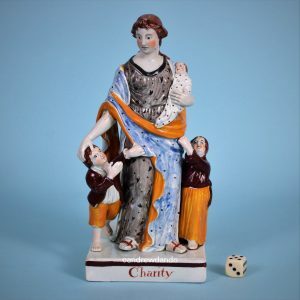 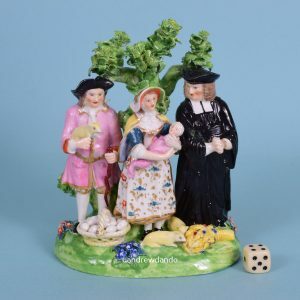 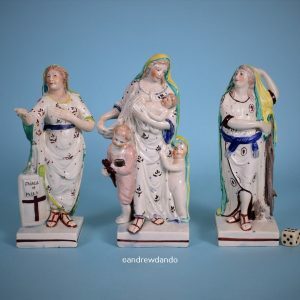 Staffordshire Pottery figure of Charity. 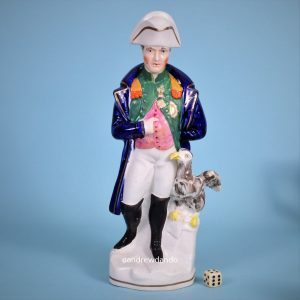 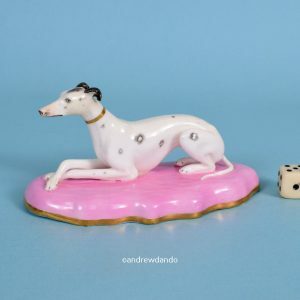 English Porcelain Whippet on a Pink Base. 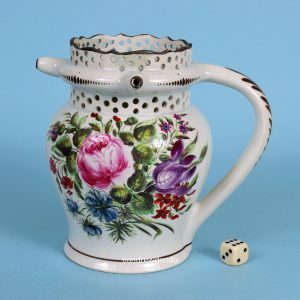 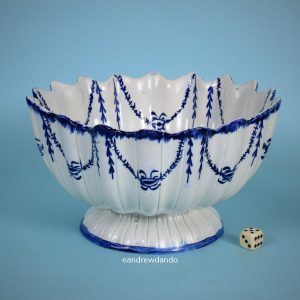 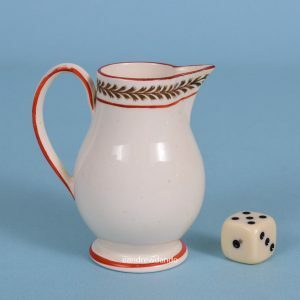 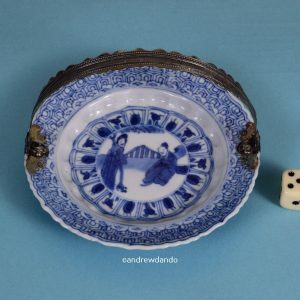 Wedgwood ‘Queen’s Ware’ Miniature Cream Jug. 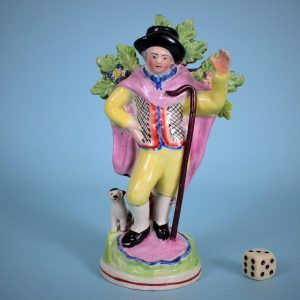 Staffordshire Pottery Figure of a Shepherd with His Dog. 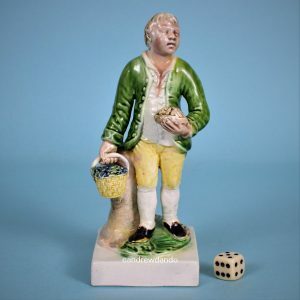 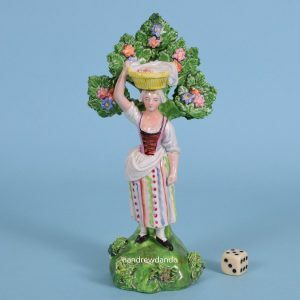 Staffordshire Figure of a Fruit Seller. 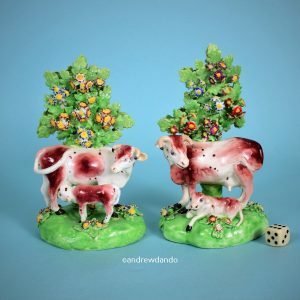 Pair of Derby porcelain Cow & Calf groups. 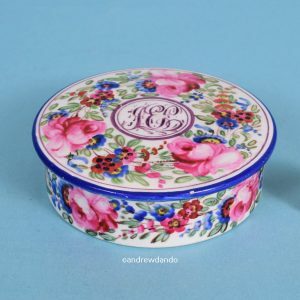 Bristol Pottery Screw Top Box. 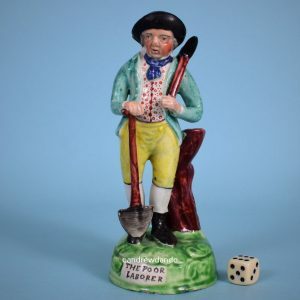 Staffordshire Figure – The Poor Laborer.